Find places to stay in Torrance, CA and other fun things to do. View our list of attractions, activities, events, restaurants and visitor information. Free hot breakfast complimentary Wi-Fi and a 24-hour fitness center are popular perks at the non-smoking Best Western Plus Avita Suites in downtown Torrance. Free Internet, Non Smoking Rooms. Charming Back Studio (2) provides accommodation in Torrance. All rooms feature a kitchen and a private bathroom. Free WiFi is available.At the guest house every room is fitted with a patio with a garden view. The units will provide guests with an oven. Non Smoking Rooms. Set in Torrance Charming Backyard Studio offers free WiFi. All rooms feature a kitchen and a private bathroom. The guest house features garden views and a barbecue.Guest rooms come with a microwave fridge a coffee machine a bath a hair dryer and a wardrobe. Non Smoking Rooms. Modern rooms with free Wi-Fi and flat-panel TVs an outdoor pool and quick access to Del Amo Fashion Center are among the perks at the non-smoking Courtyard by Marriott Torrance Palos Verde. Free Internet, Swimming Pool,Outdoor Pool, Restaurant, Non Smoking Rooms. An outdoor pool free Wi-Fi a lounge and easy I-405 access complement a modern vibe at the non-smoking Courtyard By Marriott Torrance South Bay. Free Internet, Swimming Pool,Outdoor Pool, Restaurant, Non Smoking Rooms. You'll find an outdoor pool free Wi-Fi and in-room microwaves and refrigerators at the Days Inn Torrance Redondo Beach. This pet-friendly hotel has two floors and 92 rooms some of which are designated non-smoking. Free Internet,Outdoor Pool, Free Breakfast, Pets Allowed, Non Smoking Rooms. Free Wi-Fi well-appointed rooms and budget-friendly rates add up to a good deal for our guests at the conveniently located Del Amo Inn in Torrance. Free Internet, Non Smoking Rooms. Currently as low as $142.13/night! Warm chocolate chip cookies an outdoor pool and classy rooms with HDTVs and free Wi-Fi are just some of the perks at the DoubleTree Hotel Torrance/South Bay close to shopping and dining. Free Internet, Swimming Pool,Outdoor Pool, Non Smoking Rooms. Driftwood Motel is offering accommodation in Torrance. This Japanese-style business hotel offers free WiFi. Every room is fitted with a flat-screen TV with cable channels.At the economy hotel each room comes with a desk. Free Wi-Fi full kitchens complimentary grab-and-go breakfast and easy access to shopping and dining make for a comfy base of operations at the modern Extended Stay America - Los Angeles - Torrance Blvd.. Free Internet, Free Breakfast, Pets Allowed, Non Smoking Rooms. Cozy rooms with free Wi-Fi an outdoor pool and free local shuttle are part of the package at the pet-friendly Holiday Inn Torrance with easy access to I-110. Free Internet,Outdoor Pool, Restaurant, Pets Allowed, Non Smoking Rooms. 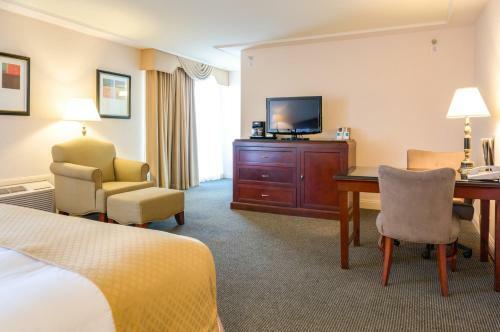 With free Wi-Fi in-room microwaves and refrigerators and complimentary breakfast the Howard Johnson Torrance offers value-priced accommodations in an ideal location. This two-floor hotel has 48 rooms some of which are non-smoking. Free Internet, Free Breakfast, Non Smoking Rooms. Modern rooms with soaking tubs and iPod docks an Asian fusion restaurant and a spa are part of the package at the eco-friendly and non-smoking Miyako Hybrid Hotel Torrance. Free Internet, Restaurant, Non Smoking Rooms. The Ramada Inn Torrance offers free internet an outdoor pool complimentary continental breakfast and an on-site restaurant making it one of the most popular hotels in the area among our guests. Free Internet,Outdoor Pool, Free Breakfast, Restaurant, Pets Allowed, Non Smoking Rooms. Redac Gateway Hotel in Torrance is a popular choice amongst travelers in Los Angeles (CA) whether exploring or just passing through. The hotel offers a wide range of amenities and perks to ensure you have a great time. Free Internet, Non Smoking Rooms. Wi-Fi and free breakfast plus an outdoor pool sports courts and fire pit make for happy guests at the non-smoking Residence Inn by Marriott Torrance Redondo Beach. Free Internet, Swimming Pool,Outdoor Pool, Pets Allowed, Non Smoking Rooms. Our guests can look forward to a free buffet breakfast complimentary Wi-Fi and an outdoor pool at Staybridge Suites Torrance. The three-floor hotel has 144 one- and two-bedroom suites many designated non-smoking. Free Internet,Outdoor Pool, Free Breakfast, Pets Allowed. Currently as low as $72.24/night! With complimentary breakfast and a close proximity to the airport and area attractions the Super 8 Torrance LAX Airport Area is a value-priced hotel for our guests' California stay. This three-floor hotel has 40 rooms some of which are designated non-smoking. Free Internet, Free Breakfast. An indoor/outdoor connecting pool and spacious rooms with plush beds delight our guests at the non-smoking Torrance Marriott Redondo Beach. Free Internet, Swimming Pool, Indoor Pool, Restaurant, Non Smoking Rooms.